Every year the Wellesbourne and Shakespeare Lions Clubs join forces to run a charity raft race and this year’s event is on Sunday 26th July and in aid of The Shakespeare Hospice. Not for the faint hearted, the event runs 7.1/2 miles down the River Avon from Wasperton to Stratford upon Avon and encounters 2 weirs along the way. There will be full medical and river-borne safety crews in place and health and safety is taken very seriously. A motley crew has been formed here, The Duralock Seels, who are named in honour of Duralock’s Managing Director Jeremy Seel and are made up of the following: Captain Wayne, self-titled Chief Boat Designer Jack, two unlikely powerhouses in Harry and Connor, posh lumberjack Rob and last but not least (and some would say the brains behind the brawn), token female Nic. Whilst searching for plastic drums to begin construction (harder than you might think), we came across some huge plastic tanks at neighbouring company ABN... cleaned out, chopped in half to make giant bathtub like objects and held together with our connectable race rail and Podlife was born. 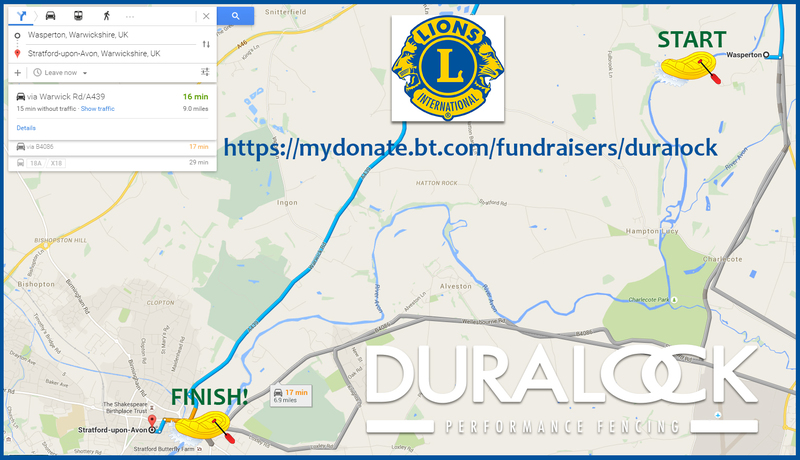 Please follow the link should you wish to make a donation and keep an eye on our social media to track our progress!